Detail of the Sistine Chapel. 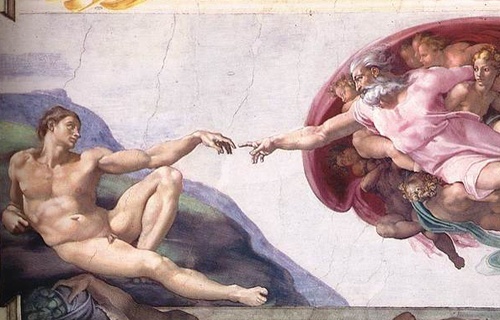 Today marks the 500th anniversary of the unveiling of the Sistine Chapel’s ceiling, one of Michelangelo’s masterpieces. 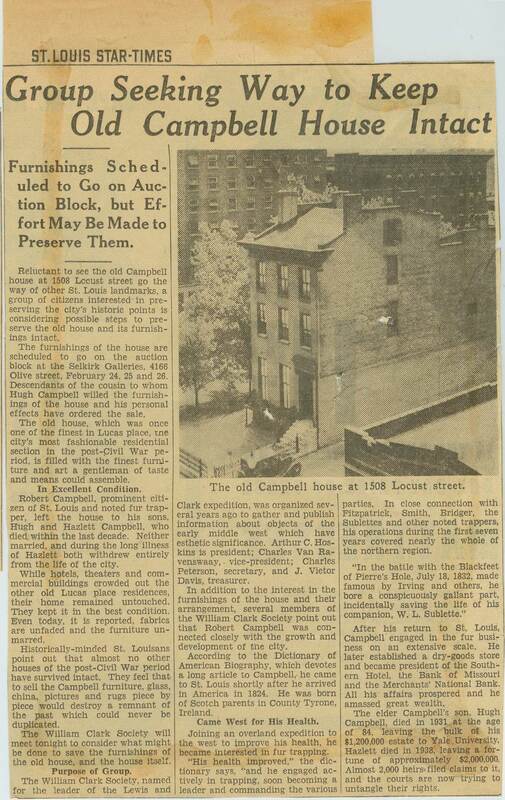 What does this have to do with Campbell House? Not much, but it’s the perfect flimsy excuse for us to toot our own horns about the spectacular ceilings in this house, particularly those in the Parlor. 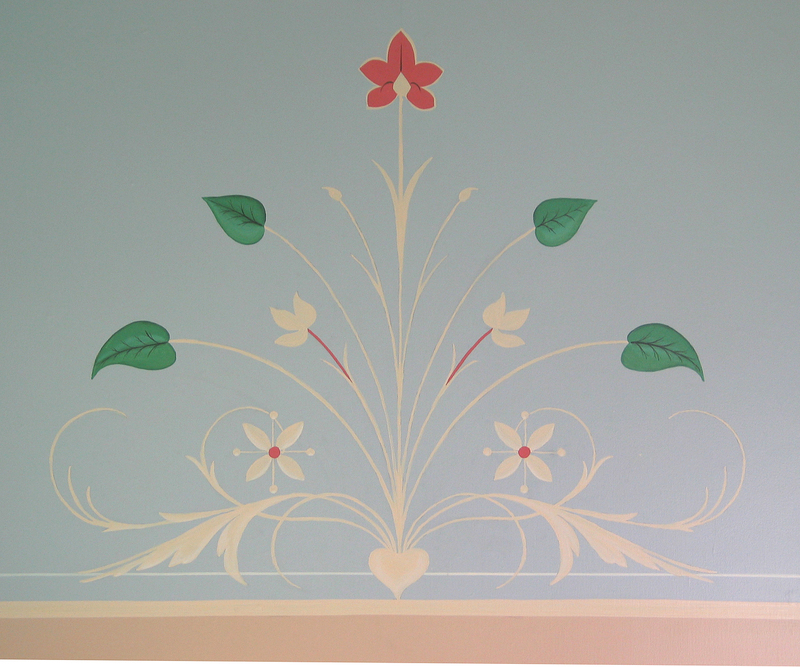 During the restoration (2000-2005), painters removed up to 40 layers of paint and wallpaper from the walls and ceilings in the house, and what they found on the first layer of plaster was replicated for us to enjoy today. 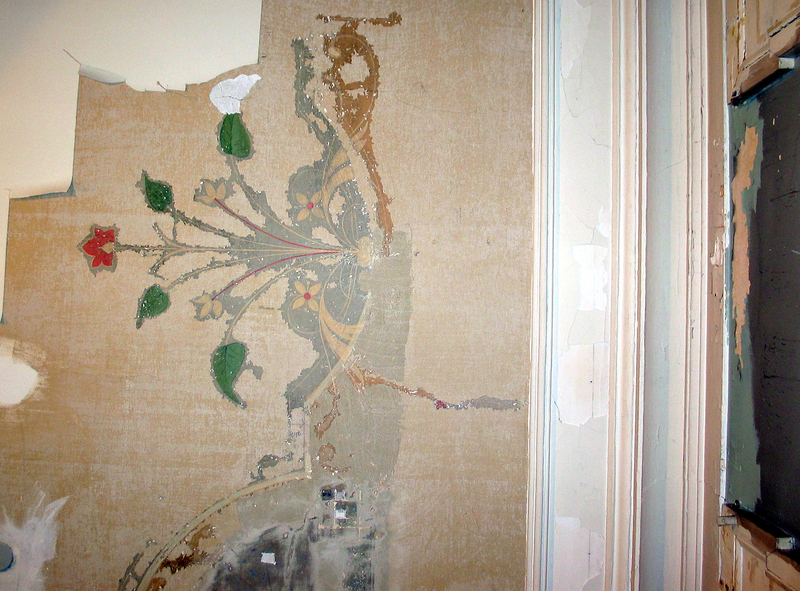 Though we had clues in the 1880s photographs and in the background of Virginia’s large portrait that hangs in the Parlor, the tedious and time-consuming “strip everything off the walls” method was the only way we could know for sure what the Campbells’ original patterns and color schemes were throughout the house. 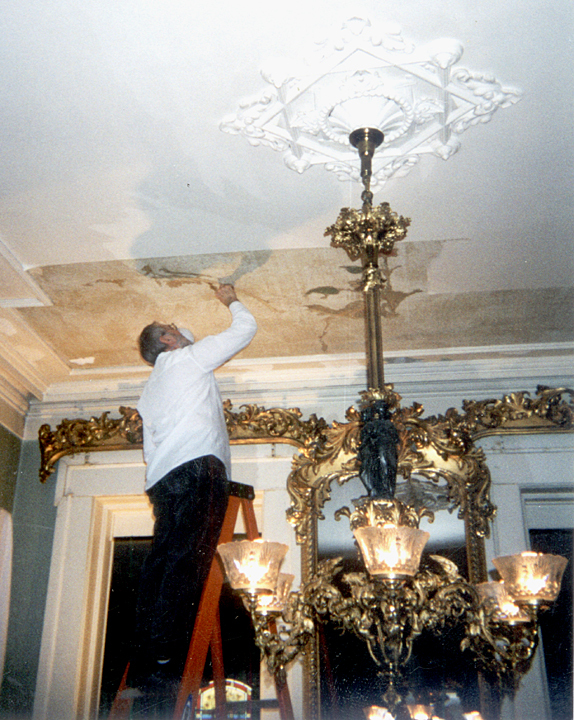 Detail of the Parlor ceiling during Restoration. 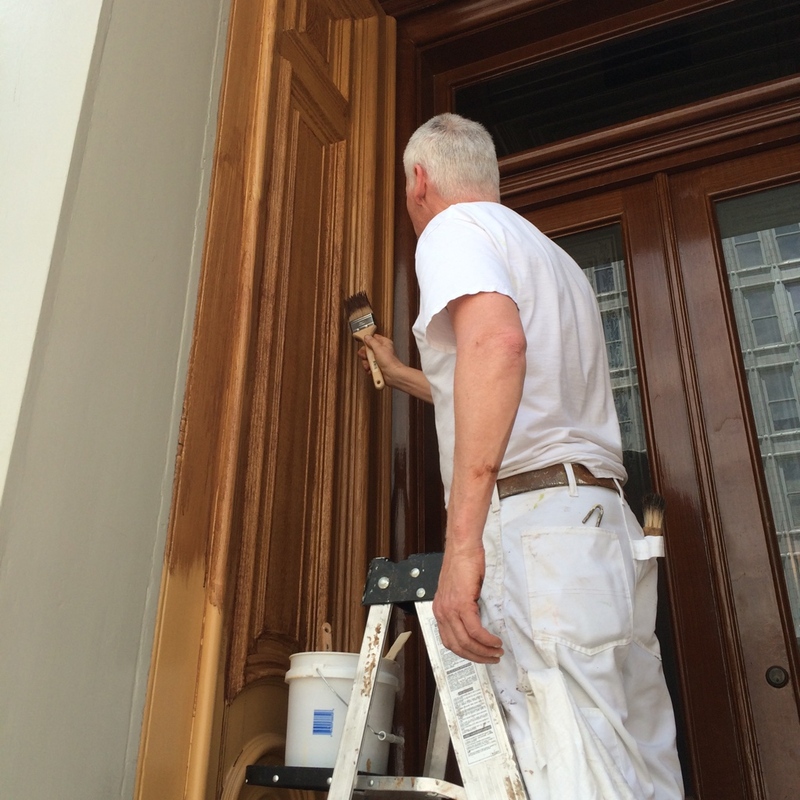 You can see the layers of paint the artists are in the process of carefully peeling away along the edges. 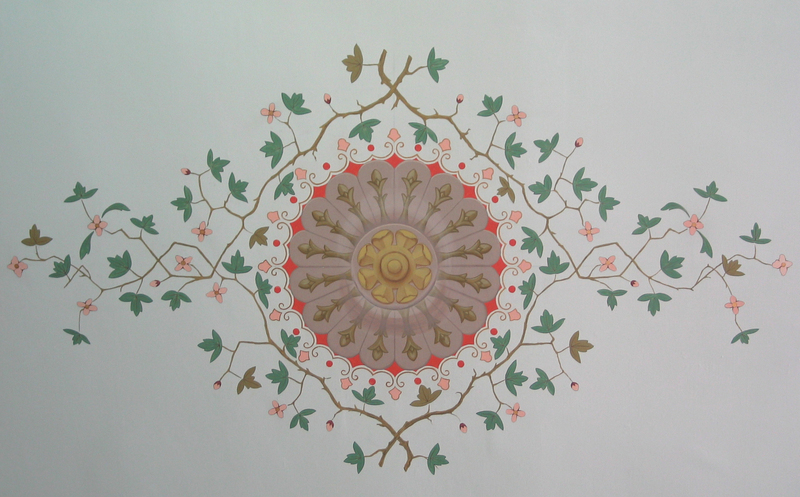 The motif from the previous image repainted on the ceiling. 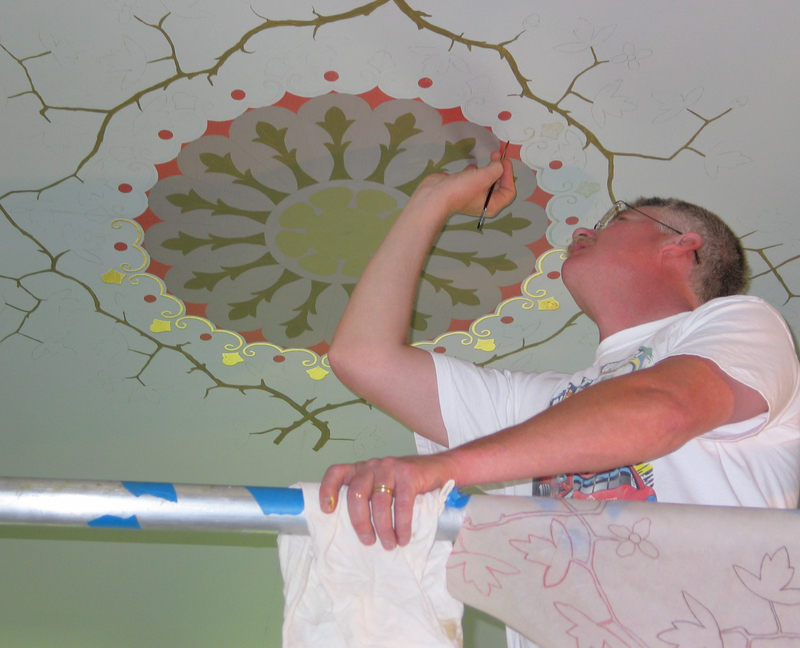 An artist working on the intricate design in the center of the Parlor. 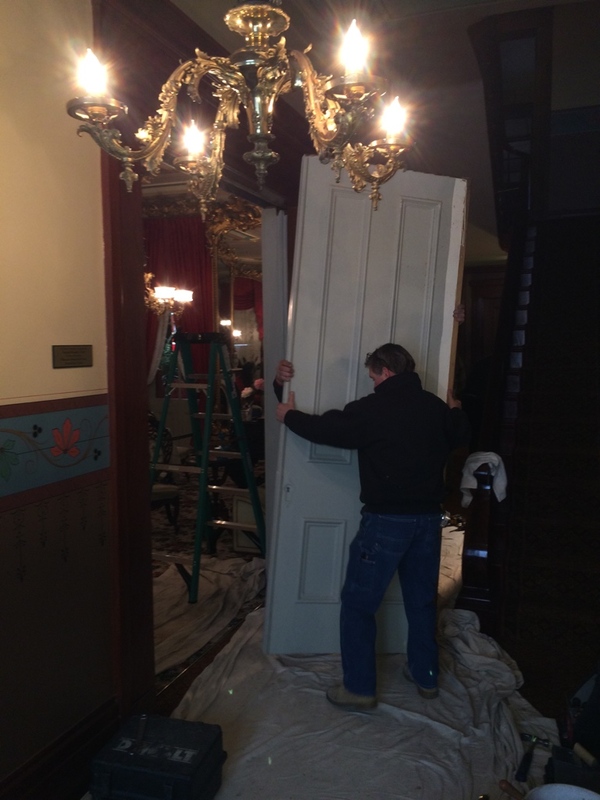 As always, thanks for reading, and check back tomorrow for information about our upcoming Holiday Historic House Tour!